★ Turkish President Recep Tayyip Erdoğan is stepping up his rhetoric over Cyprus in a move seen by analysts as taking on a more assertive approach that could result in a permanent partition of the divided Mediterranean island, reports Dorian Jones of the VOA. Cyprus is divided between Greek and Turkish Cypriots since a Turkish intervention in 1974 in response to a mainland Greek inspired coup. Recent Turkish aspirations to become a European Union member, and the unions requirement that the Cypriot division be solved, initially made Mr. Erdoğan eager to solve the problem when he first came to power in 2003. However, in a 2004 referendum, a United Nations mediated agreement was rejected by the Greek Cypriots, and stalemate continued. Since Turkey has been rebuffed in its European Union membership aspirations, Mr. Erdoğan is now flexing Turkey's muscle. Another reason why he may be following a harder stance could be that he wants to get the nationalist on his side in next year's local elections, former senior Turkish diplomat Aydin Selcen says. ★ According to the Associated Press, Turkish President Recep Tayyip Erdoğan has again suggested that Turkey could decide in a referendum whether to continue pursuing membership in the European Union. Speaking at an international forum on Thursday, Mr. Erdoğan said Turkey and the European Union had a lot to contribute to each other. But he criticized the 28-nation bloc for keeping Turkey waiting at its gates. Turkey has been negotiating with the European Union since 2005. ★ Reuters reports that a Turkish court upheld life sentences on Tuesday for prominent journalists Ahmet Altan and five others. They were sentence in February on charges of aiding plotters of failed military coup in 2016. Ahmet Altan's brother Mehmet Altan was released from jail in June. However, his sentence was upheld, too. ★ According to the Associated Press, the U.S. has now begun training Turkish troops, marking the final step before the two countries begin conducting joint patrols likely later this month around the strategic northern Syrian city of Manbij, Defense Secretary Jim Mattis said Monday. The training is being done in Turkey. The Syrian town was liberated with a joint force made up of U. S. military and Syrian Kurdish militia. However, Turkey sees the Syrian Kurdish militia as an extension of the rebel Turkish Kurds, and Turkish officials objected to the presence in an area next to the Turkish border. To defuse the tensions in June the U. S. and Turkey agreed to cooperate in patrolling the area, and the Kurdish militia left the town. ★ Speaking of Syria, according to Reuters, rebel groups are leaving the last rebel held area in northwest Syria to create a demilitarized zone. The zone was set up by Turkey and Russia to avert a Russian-backed Syrian army offensive. The demilitarized zone will be jointly patrolled by Turkish and Russian forces. In related news: When will Turkish presence in Syria end? Turkey's President said Thursday at a forum in Istanbul that when there are elections in Syria. ★ Turkey went on a building spree as its economy boomed, now the frenzy is crashing to a halt, David Lynch of the Washington Post reports. Among them are hundreds of shopping centers. The article reports that the shopping centers are generally just empty. One reason is that there may be too many malls. There are shopping centers literally next to each other. The redundant shopping centers, on a main street in the Levent business district in Istanbul, symbolize Turkey's deeply unbalanced economy. The development of the urban skylines and public infrastructure were all done with borrowed money. Now the frenzy is crashing to a halt as Turkish companies' heavy foreign debts come due and the boom's excesses surface. Turkish President Recep Tayyip Erdoğan's increasingly authoritarian turn, which has led him to consolidate power on a nationalist platform and left him slow to take the measures needed to rein in a runaway economy, has investors on edge. 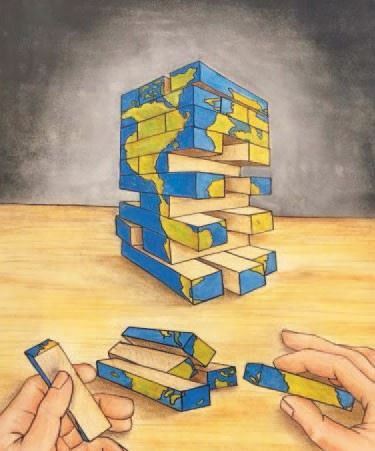 ★ We reported to you last week that Turkish government has signed an agreement with the US consulting firm McKinsey and Company to advise them on recovery from the current economic and financial crisis. However, this week Turkish President Erdoğan ordered the cancellation of the agreement. Mr. Erdoğan said that "we would be adequate for ourselves" meaning, "we could do it ourselves". The agreement drew much criticism from the opposition. ★ The British daily Guardian reports that Turks taking advantage of a new procedure that relaxed the rules of changing their names. So far 105,000 people applied to change misspelled and humorous names. Among the names change are some that are humorous and some outright strange. One person is changing his last name which means "sold". Other changes are to names such as jackal, testicle, naked, duck, no underwear and stupid. 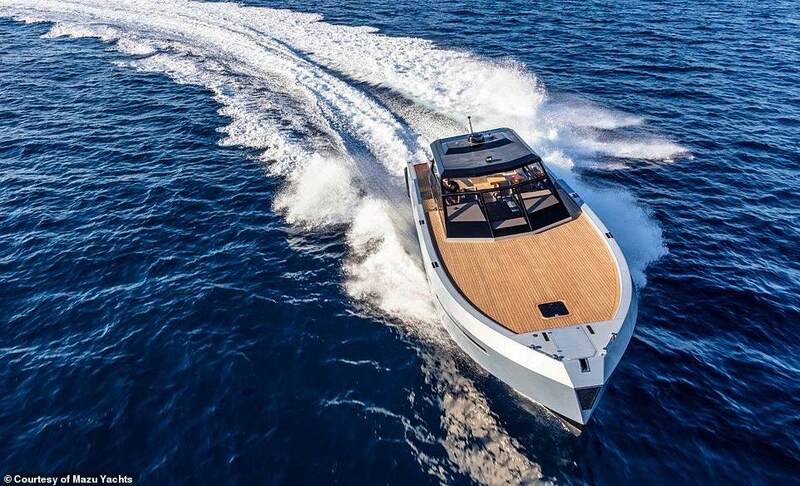 ★ Istanbul-based Mazu Yachts' luxury Bond-style vessel - the 52 - debuted at Monaco Yacht Show last week, reports the British newspaper Daily Mail. With a price tag of just over $1 million, the yacht boasts fine leather seats, a marble bathroom, plush bedroom and a state-of-the-art barbecue. The boat is nicely set up for entertaining, too. Aside from the huge cooking station, there's a spacious dining area and a bar inside. ★ Istanbul's Film October, a film festival that almost rivals the renowned Istanbul film Festival has started on Thursday. The festival will continue nine days. It will feature about 50 films with awards from international festivals. Among the directors of the films are Jean-Luc Godard of France, Paolo Sorrentino of Italy, Terry Gilliam, Lars Von Trier, Alfonso Cuaron of Mexico, Pawel Pawlikowski of Poland, Cafer Panahi of Iran, Pablo Trapero of Chile, Kiril Serebnikov of Russia, Yorgos Lanthimos of Greece, Hirokazu Kore-eda of Japan, Asgar Farhadi of Iran, Matteo Garrone of Italy, Gaspar Noé of France and Chang-dong Lee of Korea. ★ The 55th National Competition that we have told you over the past few weeks concluded on October 4. The competition is set up for Turkish films, which for the past two years could not participate in the Antalya Film Festival. The organizers of the Antalya Film Festival eliminated the National Films category two years ago from its program, despite many protests from the film industry and artists. The protesters then decided to organize a competition in Istanbul for the Turkish films. Siyad Best Film - Fragments (Rojda Akbayır). 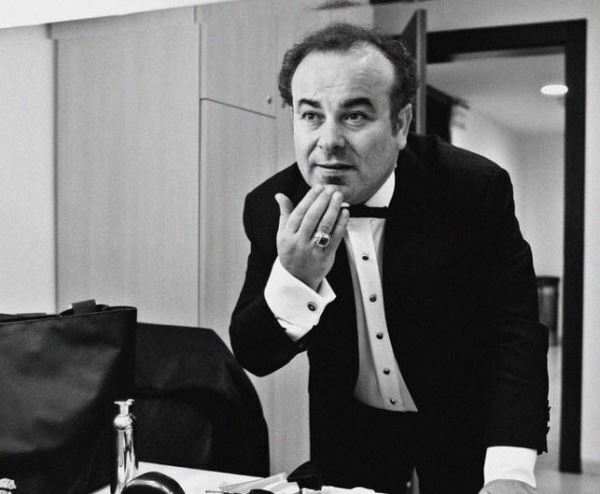 ★ CRR, The Cemal Reşit Rey Concert Hall of Istanbul, start the season with Cemal Reşit Rey's works on Thursday. Rey was a renowned Turkish composer, educator, pianist, conductor and the founder of the Istanbul City Orchestra. Maestro Can Okan will lead the CRR Symphony Orchestra in performing Rey's "Scenes" (1931), "Chromatic Concerto" (1932), "Symphonic Poem: Turkey" (1971), "Mystical Poetry" (1938) and "On Rumi's Masnavi for Tenor And Orchestra". The hall was named after Rey after his death in 1985. ★ A conductor from Turkey's Aegean city of Izmir has been returned back to his position. In the aftermath of the 2016 failed coup, İbrahim Yazıcı, the conductor of the Izmir State Opera and ballet Orchestra was removed from his post. After about a year and a half of struggle, a commission set up to review the cases of people who claim that they were wrongfully removed from office concluded that İbrahim Yazıcı, has done nothing wrong. During the 1 1/2 year period, İbrahim Yazıcı was unable to lead any orchestras, and since his passport was confiscated could not travel abroad. He will soon travel to France and then to Japan for two concerts. 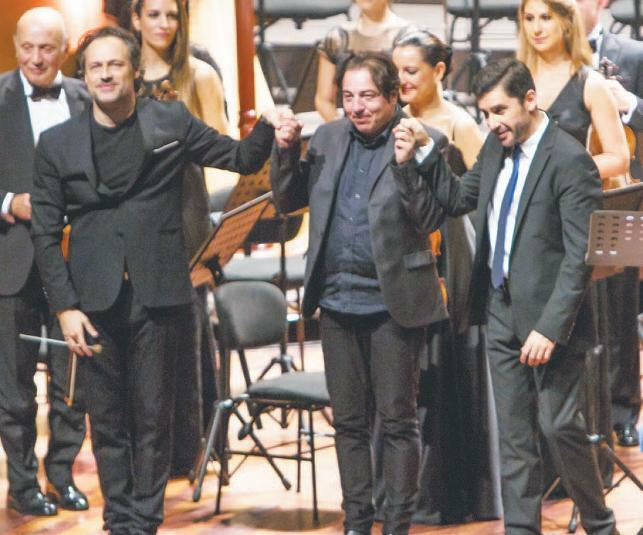 ★ Borusan Istanbul Philharmonic Orchestra started the 20th season with renown Turkish pianist and composer Fazil Say's Flute Concerto on Thursday. It was also the world premiere of the new composition. One of the best flutist, Bülent Evcil, performed. 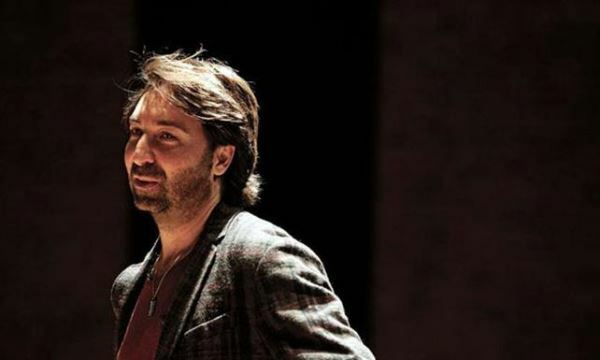 Fazıl Say wrote the concerto for Evcil. Later in the concert the orchestra directed by Sascha Goetzel performed Ippolitov-Ivanov's "Sketches from the Caucasus" and Ravel's "La Valse". 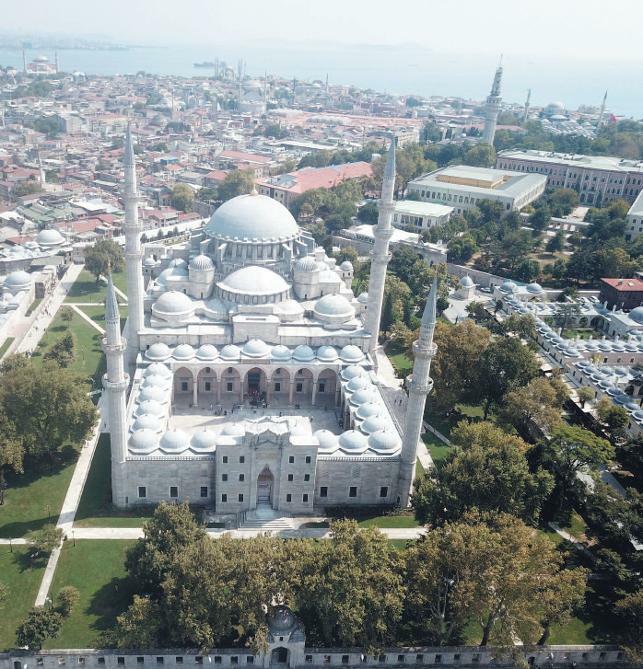 ★ Istanbul's Süleymaniye Mosque and Complex is on UNESCO's World Heritage list. The complex was repaired in 2010, but an inspection by a daily Cumhuriyet reporter backspace and restoration expert Prof. Dr. Zeynep Ahunbay revealed many problems. For example, a column head that supports one of the monumental gate arches was found cracked. On the walls of the yard of the mosque, weeds and even plane trees were seen growing. Renowned Ottoman architect Sinan built the mosque and the complex between 1550 - 1557 on the orders of the Süleyman the Magnificent. Prof. Ahunbay says only the mosque is now open to the visitors, the rest of the complex, the college, children's school, hospital, guesthouse, Koran recitation hall are all closed to visitors, and some are even being used for purposes that are not fit for the structure. Professor also says that new structures have emerged within the complex that are not in harmony with the original structure. There is even graffiti on some walls, she points out. ★ The Second International Cittaslow Cartoon Festival and Competition ended in Turkey's Aegean town of Seferihisar, reports the daily Cumhuriyet. There were 148 cartoonists from 34 countries with a total of 477 cartoons that participated in the festival. Turkey's Gülfidan Özdilek won the first prize of the competition, Azerbaijan's Seyran Caferli came in second, and the third place went to Russia's Vasily Alexandrov . The word Cittaslow comes from a movement: Cittaslow is an organization founded in Italy and inspired by the slow food movement. Cittaslow's goals include improving the quality of life in towns by slowing down its overall pace, especially in a city's use of spaces and the flow of life and traffic through them. Cittaslow is a membership organization. Full membership of Cittaslow is only open to towns with a population under 50,000, and those who are determined to conform to the organization's goals. Seferihisar is one of the 14 towns in Turkey that are currently members of the organization. ★ The International Olympic Committee eliminated the Turkish city of Erzurum from a 2026 Winter Olympics bidding contest, reports the Turkish daily Cumhuriyet. The committee which was meeting in Argentina, invited the Turkish national Olympics committee for a meeting, however before they arrived in Argentina while they were on the air, the international Olympic Committee announced the elimination of Erzurum. The committee also disregarded the new Istanbul airport, which will be the largest in the world, and said that there was a shortage of adequate airports in Turkey. The committee also said that there was a shortage of energy in Turkey. 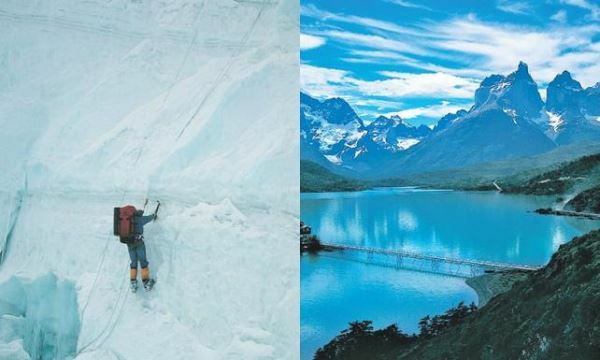 ★ The renowned Turkish mountaineer Nasuh Mahruki is celebrating his 50th birthday with an exhibition titled "Let Your Life be Your Biggest Adventure" at Istanbul's Gallery Lafayette. The Turkish daily Cumhuriyet interviewed Nasuh Mahruki. In the interview it is mentioned that Nasuh Mahruki has been climbing up the mountains since he was 20. When he turned 40 he published a book titled "One Loves His Homeland not with His Age but with Action". Nasuh Mahruki is also the founder of a nongovernmental organization called AKUT, short for Search and Rescue Association. The organization delivers emergency and disaster relief to people trapped in caves, lost on mountains or to victims of the earthquake or flood disasters at home and abroad. The exhibition will feature 60 photographs from activities that Nasuh Mahruki participated from around the world, and clippings of articles from the press. Nasuh Mahruki says that he has been to the seven continents of the world and seen 90 countries. The exhibition will start on October 10.